I do enjoy watching The Great British Bake-Off as much as the next person. But the fact remains that I am no great baker. Occasional muffins, biscuits and cakes, yes. Kouign Amann, Schichttorte, Religieuse a l’ancienne, I'll have to start by learning to pronounce those first! So what am I doing writing about The Bake Box, you might wonder? Well, it is the season of giving, and I am revealing the secrets of this brand new subscription box for the benefit of my readers. Especially those who like to bake, are good at it or simply want to get started with it. Or if you, like me, know a couple of fantastic people who would appreciate a Bake Box subscription as a Christmas present. Think about it. 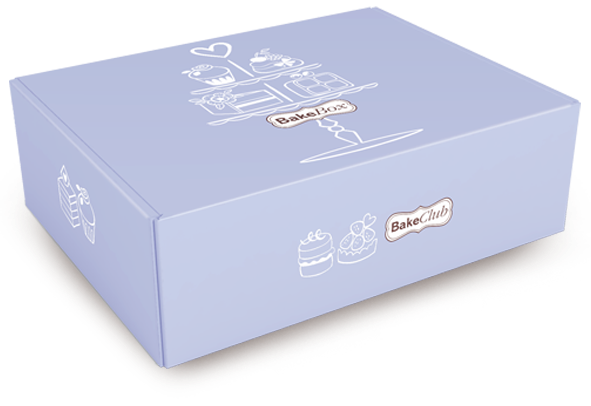 The Bake Box arrives through their letterbox once every two months starting from January 2016. Each box is bursting with lovely baking-related goodies. So every couple of months you remind these lovely people how wonderful you are for gifting them something they can enjoy way beyond Christmas. and is set to contain half a dozen specially curated bakeware items worth more than £40 RRP. Some of these bespoke items are not available on the high street. This, in addition to six full colour step-by-step recipe cards to help improve your baking prowess. Also included will be professional grade cake decorating products from Rainbow Dust that will help transform those bakes into showstoppers. And you get the opportunity to access the Bake Club Live site where you can swap notes with other bakers. The Bake Box Team have sent me a Christmas-themed sample box to give you a flavour of what is on offer. I am loving the snow-flake silicone mould and am tempted to create a centerpiece for Christmas dinner in red and yellow with a smattering of green edible glitter. The star cutters are in time as I am about to start baking ginger biscuits for friends and family. The pièce de résistance of this Bake Box has to be the Gingerbread House recipe and moulds. Me, creating that beauty, with my baking skills and temperamental oven! I’ll keep you posted how I get on with that one. It might feature on next year’s GBBO, for all you know. Hopefully not as an #extraslice disaster. Disclosure: I was sent a sample Bake Box for the purpose of this review. All opinions are my own. I love the sound of these. Subscriptions are such a good idea for presents because they last beyond Christmas. I think next year I may get everyone a subscription for a gift. This one is perfect for my sister. Inspiration in baking is what I struggle with and I like surprises so this would be a good purchase I think. I know someone who would adore this! I do love the idea of this but I'm not sure I could justify the cost, I'll definitely be keeping an eager eye out to see what goodies arrive in January to see whether I might want to ask for a sub for my birthday!